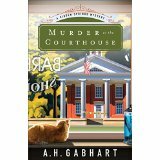 In Murder at the Courthouse by A.H. Gabhart, the town is named Hidden Springs. It's in Kentucky. No one wants to believe that liars and murderers could live in this lovely place. Michael, a policeman and other officials like the judge in the town search for the person or persons who left a dead man on the courthouse steps.Mrs. Willadean discovers the body and reports it. However, she gets lost in the middle story. I wanted her to stay in the story. She seemed like the typical talkative, good neighbor who would live in a small town and not do any person harm. I liked her. The murdered man's name is Jay. He is shot in the back of the head. 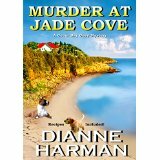 The plot caught my attention because I just couldn't imagine a murder happening on the steps of a courthouse. I wondered what type of person would have the boldness to shoot someone in a place where justice is served everyday? by the doors of houses. and says I'm not going anywhere. Many times I wanted to cry throughout this novel. Pearl and Beanie and their parents are so memorable. I had the chance to feel what it was like to live in the Dust Bowl of the Depression while in Red River, Oklahoma. The tragedies endured by this family and their friends are unthinkable. Pearl watched her friends go through awful abuse. Pearl wondered why her dad, the sheriff, didn't have enough power to rescue Ray from his family. 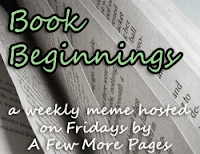 A Cup of Dust: A Novel of the Dust Bowl by Susie Finkbeiner is excellent. I would love to know how the author was able to put her heart on paper. Did she wet the pages with tears? I have wet my pages. It's near Halloween night time. Let's have Trick or Treat. I am sorry. For now, I will have to discontinue the blog tours. Hope to return to the blog at some future date. As able, will write small book reviews. I am grateful to those of you who have visited during blog tours in the past. The prayers in "99 Prayers for Children" compiled by Juliet David and illustrated by Elina Ellis are wonderful. Each prayer is useful and very specific. There are eleven chapters. Some of the prayers are about nature, family, friends and holidays. 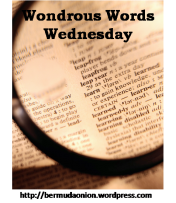 While reading, I recognized a few names of authors and their verses. For example, there is Robert Louis Stevenson and Gerard Manley Hopkins. I have been introduced to new saints: Saint Jerome and Saint Ignatius. The illustrations are lovely and multicultural and sometimes humorous. The one illustrating a fisherman at the Sea of Galilee is really cute. If a child is old enough to memorize verses, there is a chapter and verse given after the prayer. I suppose a parent would have to explain why some holidays are named and others are not mentioned in the book. Perhaps some titles are put together under one category like "Harvest." 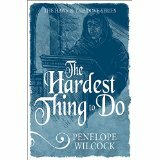 Penelope Wilcock writes another rich Historical novel about the brothers who live in Saint Alcuin's abbey. One of the characters in "The Hardest Thing to Do" is Prior William. 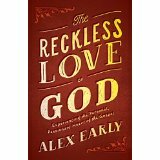 He first appears in the novel titled "The Wounds of God." In that novel, I hated the way Prior William acted toward Abbot Peregrine at Saint Dunstan's monastery. In The Hardest Thing to Do, Prior William experiences a fire. He arrives at Saint Alcuin's looking for help from Abbot John and the brothers. Although Father Peregrine has died, there is still a deep feeling of love for him among the community. I especially liked reading about the brothers' fight among themselves about whether to make this helpless once cruel brother leave the monastery or let him stay there after his wounds are healed. When Cheryl got nervous she clammed up. It was up to me to straighten things out, but how did I explain about Zephyr? She was more than just a horse; she was Cheryl's test to qualify as a friend and our ticket to freedom and sights we could never get to on foot. How did I put all that into words? Excited. I got up this morning to look for a good mystery. I wanted to get in a Halloween mood. Instead, I didn't find a mystery. I found a different type of book. For months For months, I couldn't find this particular book. Then, all of a sudden, serendipity, it's there in front of me. The book is titled Victoire My Mother's Mother by Maryse Conde. It's translated by Richard Philcox. It's a novel. The cover of the book is magical to me. It's a painting of a young woman doing woman's work. Perhaps, she is dusting. The cover is different shades of brown and ecru. No bright colorful flowers in a pitcher. There is only brown. Her face and hair are brown too. The lady is thinking as she dusts. Is she thinking of her mother? I wonder. I have two pasts. Maybe I have more than two previous lives.One part of my past is as far away as last spring. The other is as close as yesterday's summer. The summer seems richer because there is an abundance of branches. My dad often talked about the importance of branches. No branch is ever thrown away because each branch has a purpose. So, in my small way I have begun a journey of satisfying the heart of one person whom I loved. Now, there is winter. A time when all the branches are bare. Their one beauty is the snow that lies on the branches and the trunks. The branches are crooked or straight like arms raise up to the sky. Excitement grows whenever the orange beauty of one particular tree comes near. It's near a school. Other colors like yellow and red call to me as we ride around and over the hills of our town. My blog has become more than a blog. It has become a friend. It's like a diary. This doesn't mean there is anything deeply personal here. It just means I find relief in this place, on this page. I think of Anne Frank and her diary. It must have meant so much to her in those days of hard trouble. She was hidden away and people were disappearing and new ones were arriving. I also think of Rwanda and the personal writings written during that horrible period by people in their community. My biggest problem is short term memory lately. Guess what? I can't remember the reason for starting this post. I had a good reason. I've sat quietly trying to make the thoughts come back. Nope, just empty space up there in my head. It was something about "change." Should I change the title of my blog? I am trying to write an autumn Haiku. Although the Haiku is tiny, it's not easy to write. When I first learned the syllable count, I didn't think it was that hard. I have learned to try and never make rash decisions. It may look easy, but it's hard. I wonder if anything comes easy. For me, there is always a learning curve. So, I'm going to continue thinking about this 5-7-5 counted Haiku. It might still come out wrong. At least, I will feel proud of my effort. Also, I will definitely look at Haiku authors with a deepening respect. A is for autumn time. All are worth a rhyme. There are many themes in this cozy. I wanted to delve deeper in to the themes about the Spotted owls. I wanted to know more about Native Americans and reservation life. I had a hard time connecting with the author's interpretation of the character, Charlie. From the time he is portrayed as "sullen," I felt sad. A small hollow pastry typically filled with cream and covered with chocolate sauce. "The profiteroles?" He adjusted the brim of his hat, licking his lips. 2. kepis (Sorry, I couldn't find exact sentence. Should have marked it). A French military cap with a flat circular top and a visor.